Last Spring, my Aunt Toni, my friend Julia and I sat down in a small restaurant in Isola del Liri, Frosinone, Lazio to enjoy a nice meal. Little did we know the Bacchanalia would give us a mediocre meal, alongside with the discovery of a vegetable we would learn to crave forever. Interested as always in ordering a contorno of some type of veggie to go along with our meat and pasta filled day, we asked our waiter what kind of seasonal vegetables he had to offer. Naturally, his response included the usual grilled veggies and mixed salad, but then he threw a curve ball at us. 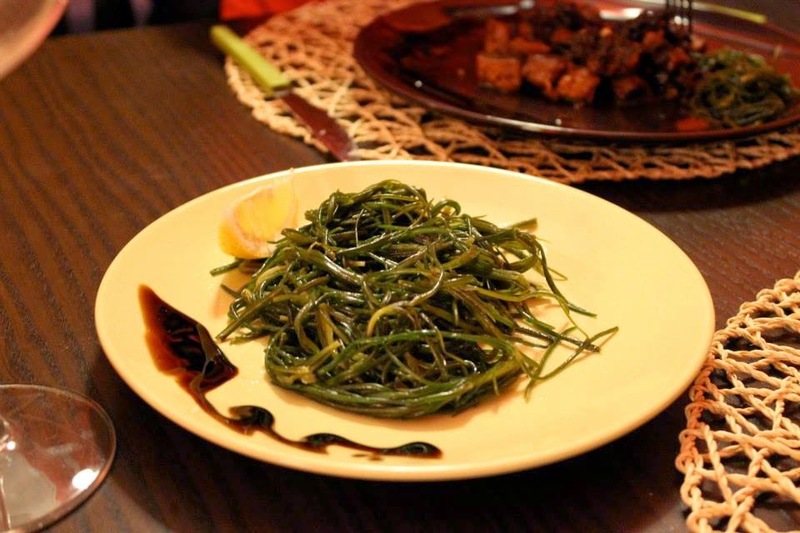 When we expected either spinach or cicoria (Dandelion greens), he said the restaurant did not have any, but then he mentioned a springtime green, Agretti, that confused us and intrigued us. We clearly had never heard of it before, so we asked for an explanation of what the green was, and all we really understood was that it was kind of like spinach, but not really, it was delicious, and would come dressed in oil, garlic and lemon. Okay, si, prendiamo gli agretti! 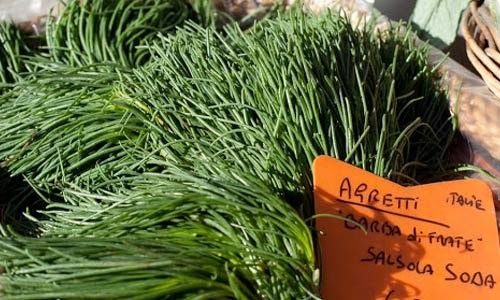 Agretti; otherwise known as Salsola Soda, Barba di Frati or Lischi are only cultivated in the Mediterranean basin in springtime. They grow into small shrubs with fleshy green 'leaves' and reddish roots. 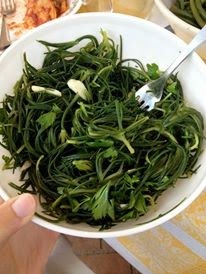 It's taste is hard to describe, but it seems closest to the taste of spinach in terms of it's sharp mineral taste, but agretti are sweeter and have a much stronger taste. Agretti are rich in water and help our bodies to remain hydrated while purifying the body and stimulating digestion at the same time. Agretti are rich in vitamins A and B, potassium, calcium, magnesium and iron, making their properties very close to that of spinach. So, my obsession as you know originated last spring in Isola del Liri, but my obsession grew when I realized my Nonna had never even heard of this magically delicious vegetable. So, that very same weekend she looked for them in the supermarket, and she too was amazed. She cooked us up a lovely batch, (cooked like beans) with lemon, oil and garlic, we ate the entire bowl under the sun on the patio at Via Muto, and my Nonna was purely shocked at their deliciousness and ease of preparation. She was so impressed that we had discovered it, and that we showed her the green as well. I had never cooked them for myself because I discovered them too late in the spring last year and I left for Boston pretty soon after the discovery. But, just two weeks ago the little bushy, cartoon hair-like green vegetables had infiltrated all of the markets of Bologna and boy was I excited! The possibilities with Agretti are endless. You can eat them raw in a salad, you can boil them, sautee them or steam them. My recent use of them has been boiled, at the same time as my pasta, in the same pot and I end up with a nice salty dish of pasta and agretti (the agretti are naturally rather salty). 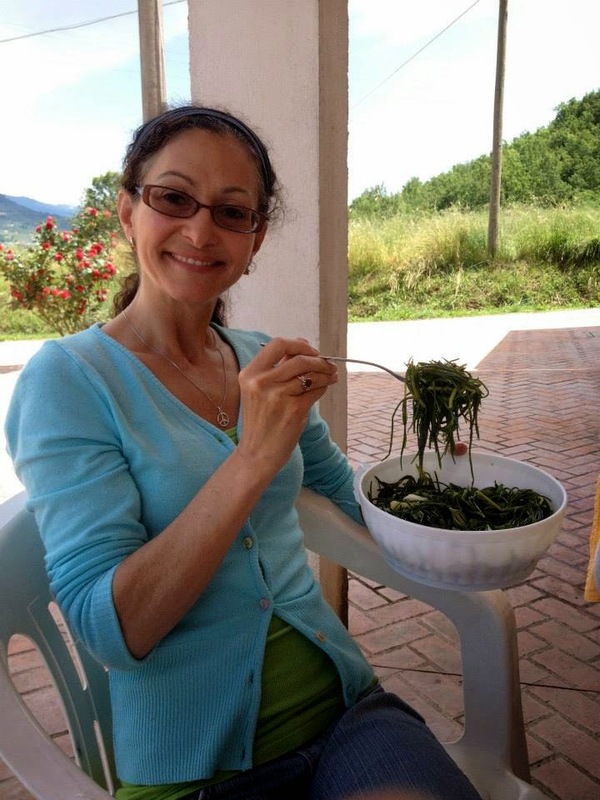 Another option is to actually substitute pasta with the agretti, they could pose as a healthy pasta for they have a similar shape and adding sauce and other goodies to them would just increase their potential. Or -- just eat them as my Nonna served them, simple and delicious, dressed with lemon, oil and garlic. My favorite thing about the agretti though is that they are actually ridiculously cheap. I paid just 1 euro 20 for two large bushels that lasted me through 4 or 5 different meals. I couldn't believe they could be so cheap when they seem like such an exotic, rare and precious vegetable, but I wasn't complaining! As you can see, possibilities are endless. Now, we only need to get the exported to the states so America can see the beauty behind this delicious green. 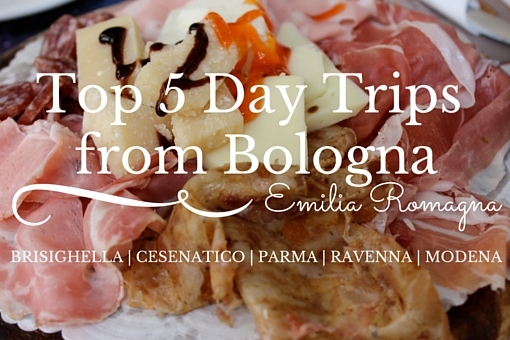 Main point is: find agretti and try them please!